A video posted online shows a desperate attempt by a motorcyclist to stop the terror attack in the French resort of Nice on Thursday. The rider died after flinging himself on to the truck that plowed into the crowd gathered for Bastille Day fireworks. 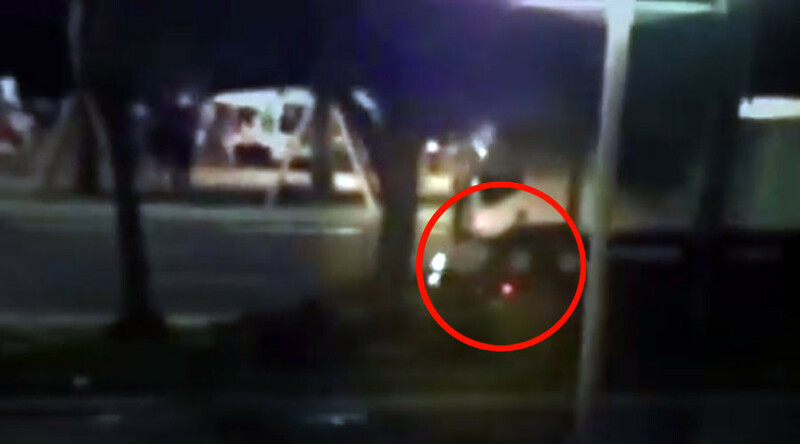 The video – reportedly filmed from a nearby balcony by journalist Richard Gutjahr – shows the biker racing along on the left side of the truck before jumping off and running up to the cabin of the lorry. The killer truck "drove very slowly, not fast, he drove slowly and he was chased by a motorcyclist," Gutjahr told AFP. "The motorcyclist attempted to overtake the truck and even tried to open the driver's door, but he fell and ended up under the wheels of the truck," he added. “At the crossroads, the police opened fire after the truck driver started driving faster and running people over,” Gutjahr told Meduza news website. The terrorist behind the steering wheel then “stepped on the accelerator and the truck sped up, accelerated and drove in a zig-zag course into the crowd,” Gutjahr told AFP. At that point, "the panicked crowd ran in all directions. Those who could save themselves ran into the hotels, or sought security in the hotel entrances," he added. A policewoman with "extraordinary courage" later jumped onto the front of the vehicle to try to stop it, Eric Ciotti, a lawmaker for the department of Alpes-Maritimes, told Europe 1 radio on Friday. “It was at that moment that the police were able to stop the terrorist,” he said. He added that he "will never forget the look of the policewoman who intercepted the killer." The Thursday attack killed at least 84 people and injured around 100 others.